In her final game at Weber State, senior libero/defensive specialist McKay Tarbox had a match-high 15 digs against Idaho State. Tarbox finishes her career with 1,153 digs, the fifth most in school history. Audrey Biggs, McKay Tarbox, Emily Hairgrove, Hannah Schorr and Amber Garrett donned their purple and white uniforms for the final time Saturday as they took on the Idaho State Bengals. The Weber State volleyball team’s final match resulted in a quick loss: 25-20, 25-16, 25-21. That makes for a sixth straight loss to the Bengals since 2011, when the Wildcats beat the Bengals in four sets (25-15, 21-25, 25-21, 25-20) in their second matchup against ISU of the season. In their final week as a team, the Weber State volleyball squad struggled on the court, but they also saw some records fall. Thursday night the Wildcats traveled to Montana State for one last road game. In their history, the two teams were tied at 35 matches apiece. Montana State broke the tie by winning the match in four sets, 25-15, 19-25, 25-16, 25-16. Senior Audrey Biggs capped off her career at Weber State with 10 kills in the loss to Idaho State. Biggs finished her career with 1,020 kills-tied for 12th most in school history-and is the first Wildcat to lead the Big Sky in kills since 2007. The match proved to be an all-season low in statistics for the Wildcats. The Bobcats dominated in almost every category. They had 49 kills compared to Wildcats’ 34. During a single game earlier in the season, Big Sky Conference kills leader Biggs was able to put together 20 by herself. This match she was held to just two kills on 20 attempts. Tarbox had nine digs, moving her up in the record books to sixth for most digs in a season. Christensen had a team-high 30 assists while adding four digs, four blocks and three kills. 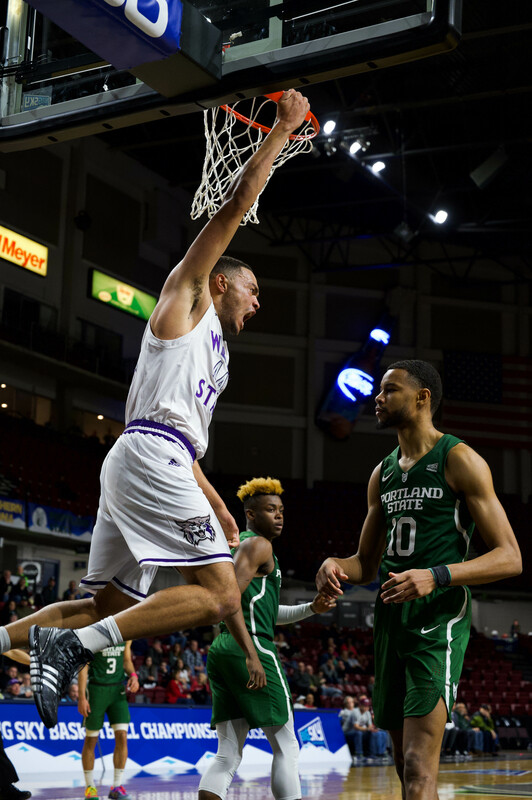 On Saturday the seniors went out with the biggest crowd the Swenson Gym has had since 2007, when the Wildcats played Brigham Young University. 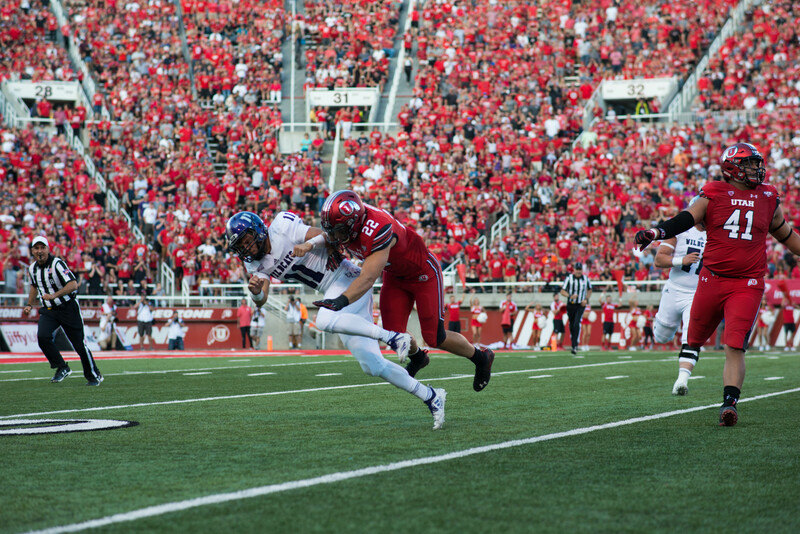 More than 800 fans packed the bleachers for the season finale against Idaho State. Both Ciera Borho and Biggs finished the match with 10 kills each. Biggs finished her career tied for the 12th-most blocks in school history with 1,020. She will also be the first Wildcat player to lead the Big Sky in kills since Melissa Leonard in 2007. Megan Thompson had a match-high three blocks and six kills. Those three block assists brought her season total to 121 which moved her to 10th for most block assists in a season. Tarbox finished with a match-high 15 digs, her 22nd match of the season with over 10 digs. She finished her career with the fifth most digs in school history at 1,153. Her season total of 457 is good enough for sixth for most digs in a single season. Although the five seniors will be gone, their names have been etched into the record books because of their outstanding careers.